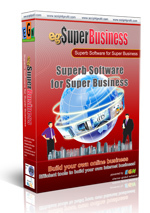 I bought an Egbusiness script from this company like every other person. They rendered their services as promised and went extra mile to stand by me when I was having serious problem with my hosting account. My hosting company did everything they know but they couldn't solve the problem to the extent that the owner described the problem as. EGN provides excellent platform, fast-response customer service and fantastic support.